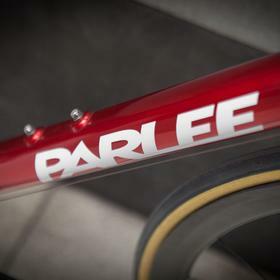 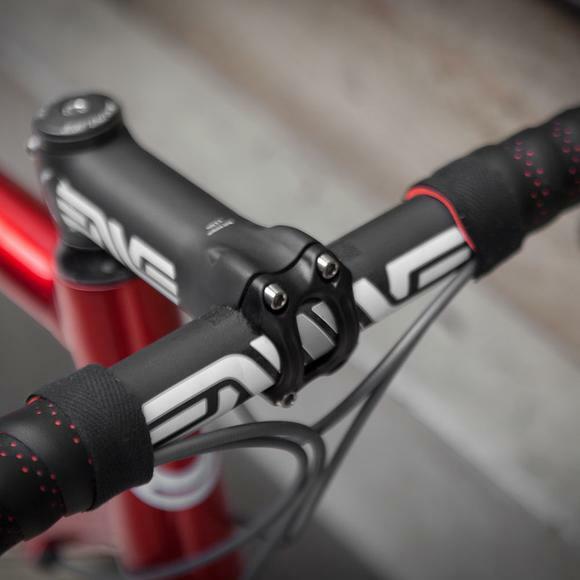 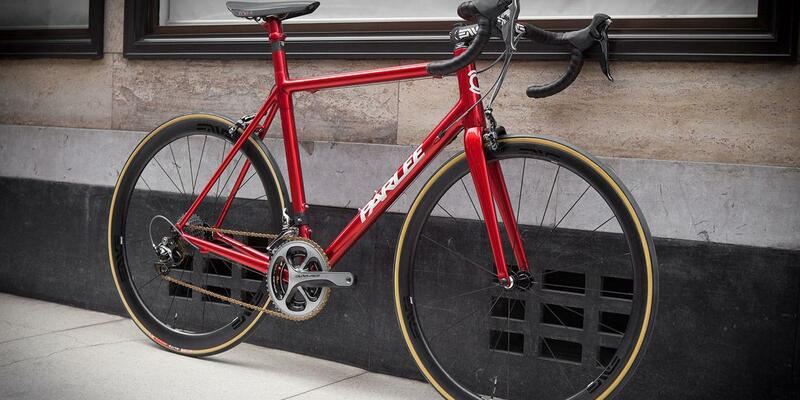 The Candy Red finish on this Parlee Z Zero is amazing. 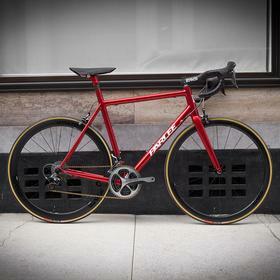 It's so bright! 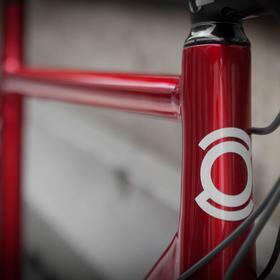 Custom tubing and lugged construction makes this carbon thoroughbred straddle the old and the new, looking classic but with modern geometry and a seat mast. 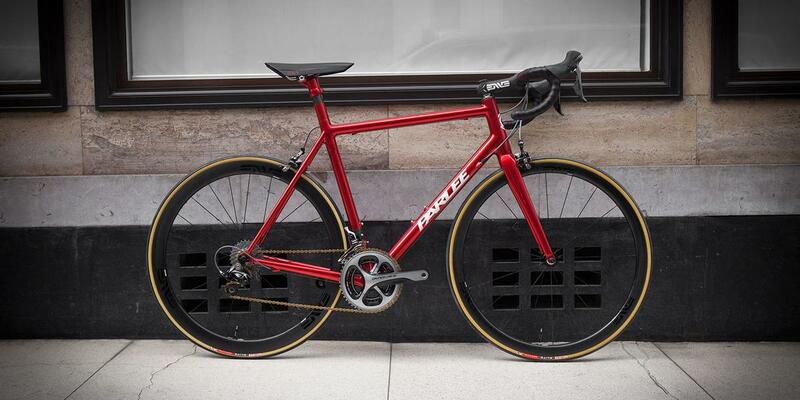 Undoubtedly this will ride as beautifully as it looks. 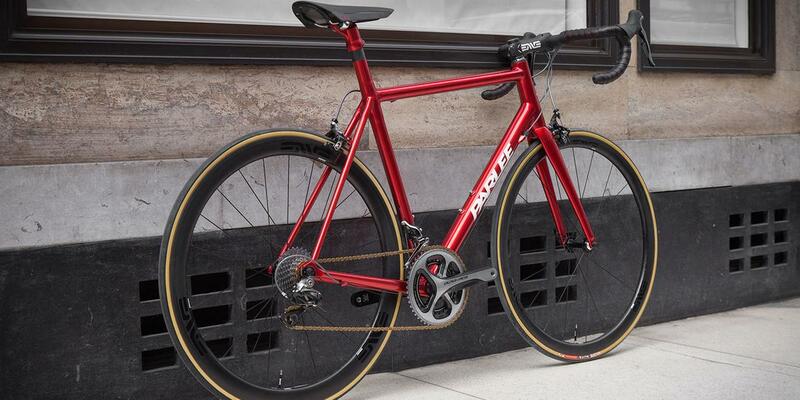 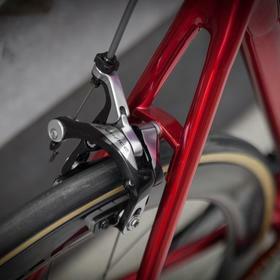 Mechancial Dura Ace keeps it classic and the gold chain and Vittoria gum wall tyres only accentuate that. 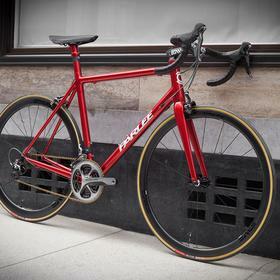 We've rearely seen ENVE 3.4s looks so subtle and understated, black logos obviously help, but they don't define the build. 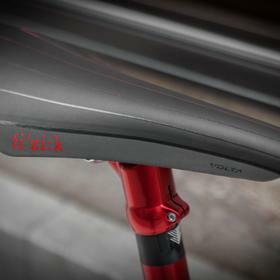 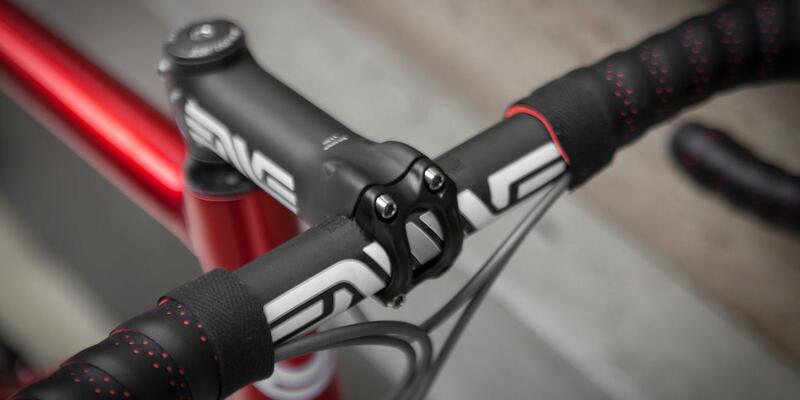 ENVE bars and stem keep the cockpit tight and another future retro high performance element is the Fizik Volta, a high tech saddle that takes its style cues from the 80's.